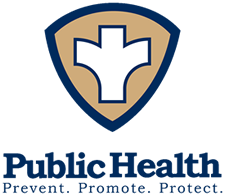 Environmental Staff at the PCHD, 406 N. Spring, Suite 1, or by calling - 573-547-6564. The Perry County Health Department (PCHD) in collaboration with the Center for Environmental Analysis at Southeast Missouri State University is providing valuable research and information to asthma patients and their families. The Health Department staff also participates in the University's educational programs concerning the medical and environmental aspects of asthma and with the parents/patients permission, will refer asthma patients to the Center for Environmental Analysis. Parents having children with asthma are encouraged to contact the Perry County Health Department for more information about the program. Participants will find the program very helpful in discovering "asthma triggers in the child's environment," finding ways to avoid the triggers, and making the environment a better place for the asthma patient. The Environmental Protection Agency has educational materials to help protect us at home addressing indoor air issues found here. Asthma is a chronic inflammatory disorder of the airways characterized by variable airflow obstruction and airway hyper-responsiveness in which prominent clinical manifestations include wheezing and shortness of breath. All too often, it means kids that can't breathe. The MODHSS also has information readily available here. Indoor Air Quality Issues in Public Schools, Licensed Childcares, Hospitals, and Licensed Senior Care Settings is available on the site also. Indoor air quality has many facets, but the pollutant we frequently hear about at the Health Department is mold. Mold seems to be almost everywhere. It grows well in the bathroom as well as in the refrigerator, under the carpet and behind the walls. At the writing of this article, the EPA has not set safe limits for mold indoors. When mold testing is done, a comparison is usually made between the levels in the building and outside the building. If you know you have mold, the first step to getting it stopped is to find the source of the moisture and get it stopped or controlled. Look for leaking pipes, bath and shower areas that are not sufficiently ventilated or sealed to prevent water leakage and areas that have been flooded or become saturated during rain showers. While mold has become a major source of worry related to health in the indoor environment, molds are actually an important part of the natural community and have been around for a long time. There are thousands and thousands of types (species) of molds, and they are present everywhere. Molds reproduce by means of tiny spores, which will grow anywhere there is moisture, food (organic materials such as paper, wood, cellulose, etc.) and oxygen. To learn more about mold visit the MO DHSS website here. The Health effects and Remediation Guidelines are available thru the Environmental Protection Agency. To view these publications see: "A Brief Guide to Mold, Moisture, and Your Home". If you are a building manager, custodian, or other person responsible for commercial buildings and school maintenance, read "Mold Remediation in Schools and Commercial Buildings". These publications are also available at the Perry County Health Department. Improperly adjusted and poorly vented gas appliances are some of the major sources of high levels of Carbon Monoxide in homes. Another source is from the exhaust of automobiles left idling in garages. The Environmental Protection Agency is the resource to learn about these dangerous gases. Carbon monoxide is an odorless, colorless and toxic gas. Because it is impossible to see, taste or smell the toxic fumes, CO can kill you before you are aware that it is in your home. Basic Information from the EPA is found here. For more information read: "The Inside Story: A Guide to Indoor Air Quality".